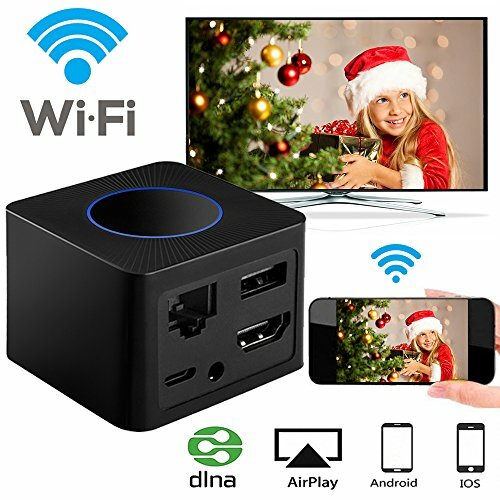 This 1080P HD HDMI Dongle allows you share the movies/videos/photos/websites and play the 3D Motion Sensing Game from small screen to large screen without any installation of APP. Public sharing of the contents on the screen may be prohibited by some APP (such as Netflix, Amazon video, HULU) because of the copyright protection. Before using, please be patient to read the instructions, which could help you use the product conveniently.